You will be judged: 'Punisher: War Zone' ten years later – AiPT! Looking back at a wild comic book movie that was years ahead of its time. The year was 2008. The Marvel Cinematic Universe had just launched with the one-two punch of Iron Man and The Incredible Hulk. Christopher Nolan’s The Dark Knight had just changed everyone’s perception of what a comic book movie could be. And then there was this movie. 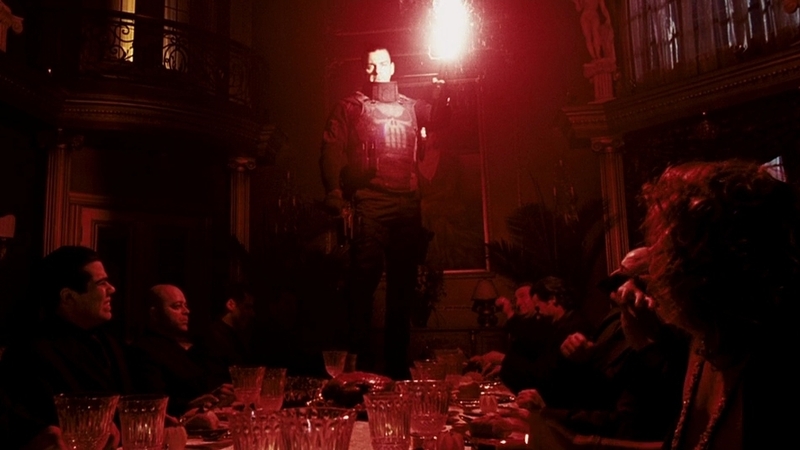 Depending on who you ask, Punisher: War Zone is either a disgusting embarrassment to cinema or one of the most purely entertaining comic book adaptations of all time. I fall into the latter category. Much like the Garth Ennis comics from which it draws much of its inspiration, Punisher: War Zone revels in excess. It’s cartoonishly violent, with some scenes feeling yanked straight from Marvel’s Punisher MAX series. We start with a beheading and ramp up from there. This version of the Punisher doesn’t want to manipulate his enemies. He’s not even really interested in finding out their plans. This Punisher will straight up put his fist through your face and keep on walking. Even the main villain of the flick is gruesome to look at. Jigsaw is one of the few recurring Punisher villains (his baddies have a tendency to die, natch) and he’s disgustingly realized with some incredible makeup effects and a swaggering performance from Dominic West, who chews the scenery as violently as Frank blows it up. The visual aesthetic of the film is unlike any comic book movie up to that point. Gone are the sunny Miami bodegas of Jonathan Hensleigh’s Thomas Jane-starring Punisher from 2004. The New York City of War Zone is a neon-drenched nightmare, with gigantic billboards filling the screen and an overload of color that would drive anyone to violence. Even the church we see in the film has a giant neon cross atop its chapel. This allows the vivid colors of the comics to invade the otherwise grimy settings of the film. It’s a design choice that is echoed by today’s Marvel adaptations on Netflix, where every set seems to feature rain-slicked streets ad sickly fluorescent lights that never seem to be screwed all the way in. Another big part of what makes this movie work is how the title character is portrayed: he’s a real bummer. It looks like so much fun to be Spider-Man, swinging through the city and kissing girls while hanging upside down. Meanwhile, Frank Castle is the last character you’d want to emulate. He’s angry all the time and aggressively antisocial. In the role of Castle, Ray Stevenson speaks maybe a handful of lines. He’s a “shoot first, ask questions never” kind of guy, which is what gets him in trouble with the law in the first place and has him questioning his mission for the very first time. But most importantly, the movie is hilarious. There’s an energy of “why the hell not?” to the whole affair. The level of violence is purposefully preposterous, occasionally poking fun at certain exhausting trends in modern action movies (this movie will tell you how Frank Castle feels about parkour). The dialogue is melodramatic (“Sometimes I’d like to get my hands on God”), but the actors deliver it without a whiff of irony. The characters completely buy into the insane reality they inhabit, which allows the ridiculousness of their situation to sell the inherent comedy in most scenes. Sadly, this aspect of the film was completely glossed over in its marketing, focusing instead on the action sequences and metal soundtrack (which, to be fair, totally slaps). Ultimately, studio interference and a flawed release strategy hurt this movie’s chances at the box office. Lionsgate Studios imposed several casting restrictions on Alexander and did not allow her to have final cut of the film. The studio also replaced Alexander’s preferred original score for the movie with something more generically brassy in an attempt to emulate the tone of The Dark Knight, ignoring the fact that the two movies couldn’t have been more different. Ten years ago this week, Punisher: War Zone was released without much in the way of promotion and garnered mixed reviews from baffled critics who had never seen anything like it. It failed to find an audience and was officially a box office bomb. Despite these hurdles and complications, the movie remains a singular vision and has found a kind of cult appreciation, much of which can be credited to comedian/actor Patton Oswalt continually singing its praises since it was released, raising further awareness of this hidden gem. Lexi Alexander has gone on to direct a ton of television, including episodes of Arrow and Supergirl for the CW. She’s been refreshingly candid in interviews about her experience working on War Zone, including in an incredible episode of Earwolf’s “How Did This Get Made?” in which she guested with Patton Oswalt. I’d love to see the movie Lexi Alexander could have made without all of the interference, but it’s still a wildly entertaining picture that, in the age of violent superhero comedies like Deadpool making bank at the box office, is deserving of a second look.